Halloween is just around the corner and we all are bubbling with festive energy. My days start with exploring costumes for my family. How crazy my family has been about Halloween? It's like they have been waiting for it like since forever. Every other minute they come up with a new idea for Halloween. "Let's all dress up in 'Alice in Wonderland' theme!" "No, I don't want to be Hatter. I'll be Spiderman this year." "Tell me should we stick to a family theme or pick individually for each?" You may enjoy this conversation right now and appreciate the halloween fever in my family, but let me warn you IT'S ONE HELL OF A SITUATION! I literally feel like pulling my hair and running away. But, I can't. Reason: I'm in-charge of shopping and party-planning in my family. So, like it or not, I have do it and make everyone look the best with their faces beaming. 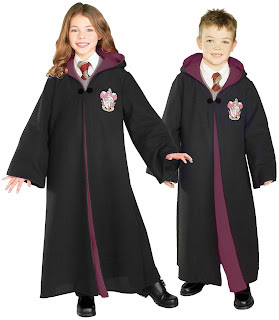 I have been searching for bestsellers for Halloween this year (must tell you, I spent good number of hours in this), and here I'm sharing with you the top 10 trending Halloween costumes for children this year. Consider it as your cheat sheet and believe you me, each costume is as sweet as our little party animals. What I love the most in this vampire costume is the deep red colored collar. The black choker and criss-crossed strings in the front add to its glamour. 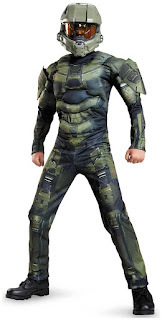 If not creepy chills like phanthom costume, Halo definitely is awe-inspiring, isn't it? We, mothers, can't thank JK Rowling enough for the adorable and inspiring adventure tale of Harry Potter. My kids are crazy for him and his friends, Ron and Hermione, are yours too? 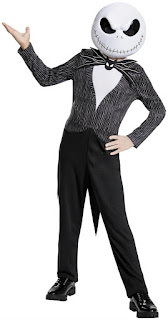 The description of this costume says, "In an outfit as classic as her bloodline, Maleficent’s daughter Mal is ready to take Auradon Prep by storm!" I'd definitely want my girl to be like her. When I was growing up, Peter Pan used to my favorite story. 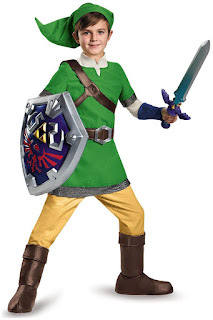 The brave boy and his adventures... doesn't this costume remind you of him? Atleast to me. 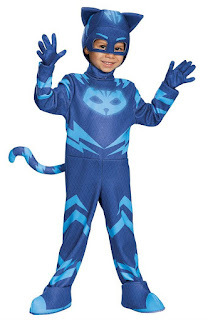 Catboy costume is becoming a rage amongst kids these days and I used to wonder what kind of costume the character would have! Hmmm... Nice it is. 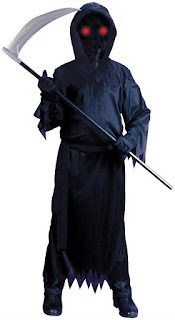 This character has always given me shivers. That vice grin and evil eyes, truly spooky and scary costume it is.